I have made this card in one of my favourite colour combos of lilac and yellow using papers from Nitwits for the background. My image is a Magnolia stamp called Midsummer Tilda which I have coloured with promarkers. The fabric flowers and pearl brads are from my stash. A very pretty creation Christine and really like the yellow and lilac colour palette, it has a lovely fresh Spring feel. A gorgeous colour combination Christine which is one of my favourites. The beautiful and precise colouring on your image gives it a Wow factor. Thank you for joining us at Penny Black and More this month. Hi Christine, love your pretty card, that lilac and yellow are so pretty together. Thank you for sharing with us over at Magnolia-licious Challenge. Good luck! So very adorable! Thanks for joining us at Magnolia-licious and hope to see you back with us again!!! Sweet card with beautiful colors!! Wellld done!! Thanks for playing with us at TPS this week!! Very pretty color combo and beautiful card!! 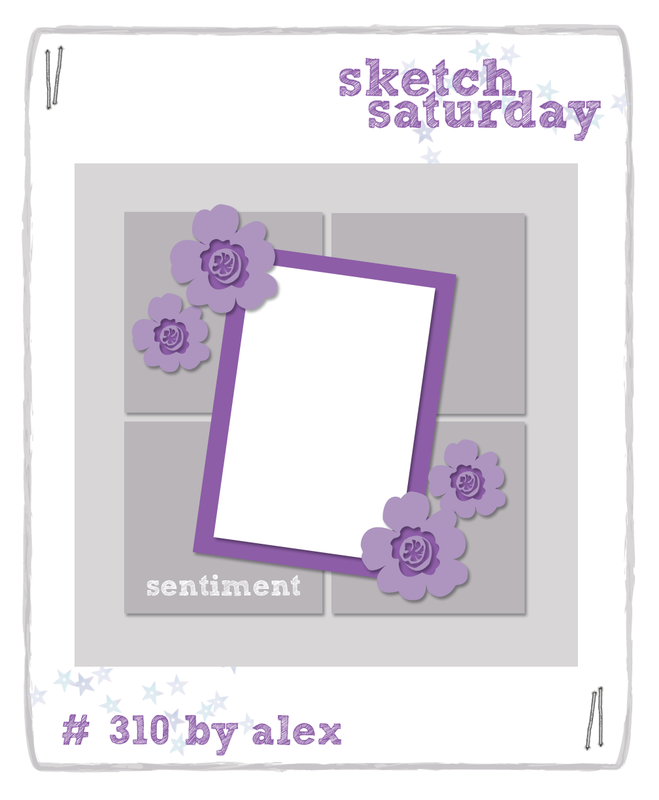 Thanks so much for joining us this week at Sketch Saturday! Lovely card and such a pretty stamp.